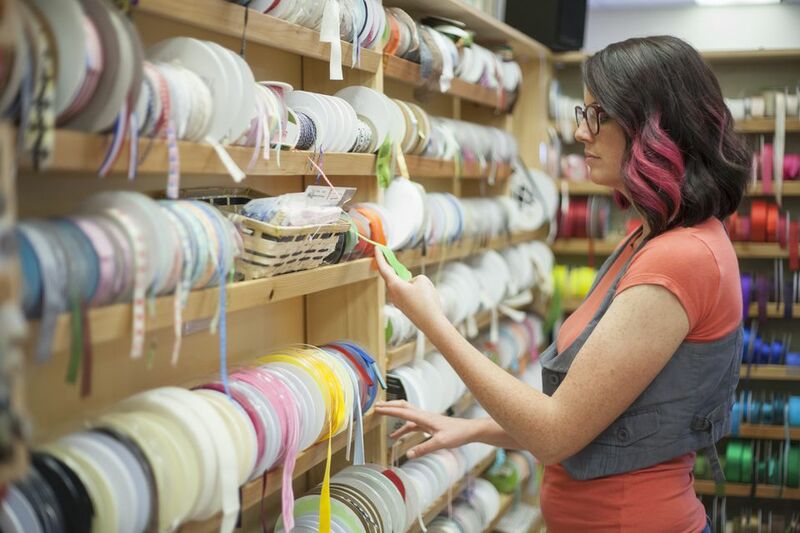 Jo-Ann Fabric & Craft store is a bargain mecca for DIY decorators, but to save the most, you’ve got to know how (and when) to shop. With Jo-Ann Fabric & Craft’s abundant sales and coupons, one should never have to pay full retail price for fabric or craft items. And with a little patience and footwork, it is possible to save much more than the advertised sale prices. Be patient. Jo-Ann is quick to mark down seasonal items—usually up to 40-percent off within days of hitting their shelves. And Jo-Ann’s sales rotate, usually on a 4-6 week basis, so if it is not on sale this week, it may be the next! Sign up in Jo-Ann's stores for their mailer that includes monthly coupons and sales notices, or check online for printable coupons. Jo-Ann's user-friendly website constantly offers an array of sale items. Jo-Ann's retail store permanently displays a clearance fabric rack where I find wonderful deals like upholstery fabric for less than $3 per yard. Also, check the "scrap" section, usually located by the fabric help desk. Jo-Ann's does offer online coupon codes that are valid in their online store. Sign up for an account to receive them. You can combine certain coupons at Jo-Ann's. For example, Jo-Ann's will allow you to use one 40-percent off regular-priced item coupon plus one 10-percent off total purchase coupon per transaction. Jo-Ann's will match competitor sale prices for the exact item.